This report is intended to review the principals of US trauma system design and to examine the theorized and observed effects of trauma center over designation in a regional trauma system. Quality trauma care is predicated on concentrating resources and experience in major trauma centers. Nearly all major US urban areas have at least one major trauma center. New techniques are available to measure a region's geospatial demand that better predict the optimal placement of system resources and the impact of new major trauma center designations in areas already served. Although concerns that over designation may decrease quality through dilution of experience, increased costs from duplication of services and variation in economic practices pose a larger threat to trauma system’s value. Recent changes in patient populations, health care economics, and policy have made trauma center designations more financially desirable shifting the trauma system’s center of gravity from public health towards industry. New tools are available to aid in trauma system planning which should help designating authorities optimize regional major trauma center allocation. David Ciesla declares that he has no conflicts of interest. London JA, Battistella FD. 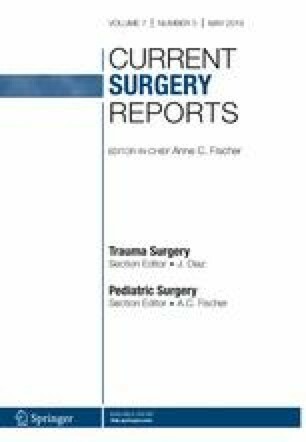 Is there a relationship between trauma center volume and mortality? J Trauma. 2003;54(1):16–24; (discussion 1–5). https://doi.org/10.1097/01.ta.0000046313.79663.a4. Boom In Trauma Centers Can Help Save Lives, But At What Price?. Kaiser Health News in collaboration withUSA today 2012. http://khn.org/news/trauma-centers/..